Fully renovated duplex in high demand neighborhood. Excellent condition with a complete gut and rebuild completed in 2016. All new plumbing, electric, HVAC, windows, roof and more. Separate laundry for upper tenant in basement, laundry for lower is in unit. New exterior deck, wonderful yard and new two car garage. Excellent opportunity. Perfect owner occupy opportunity. Directions: Hiawatha Ave to 35th St E, west to 24th Ave, south to home. I was searching for a Property and found this listing (MLS #5198871). 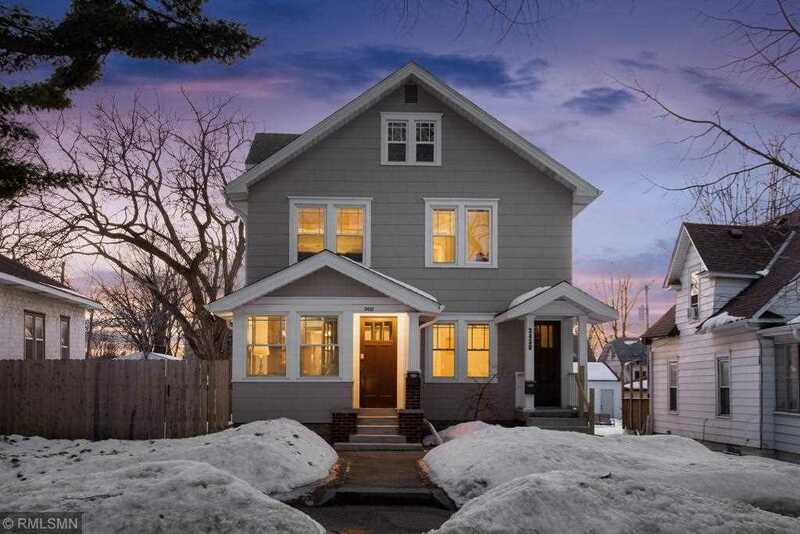 I would like to schedule a showing for 3430 24th Avenue S Minneapolis, MN 55406. Thank you! I was searching for a Property and found this listing (MLS #5198871). Please send me more information regarding 3430 24th Avenue S Minneapolis, MN 55406. Thank you! MLS # 5198871: This property at 3430 24th Avenue S, Minneapolis, MN 55406 is located in the Corcoran subdivision and is listed for $449,900. MLS # 5198871 has been on the market for 17 days.